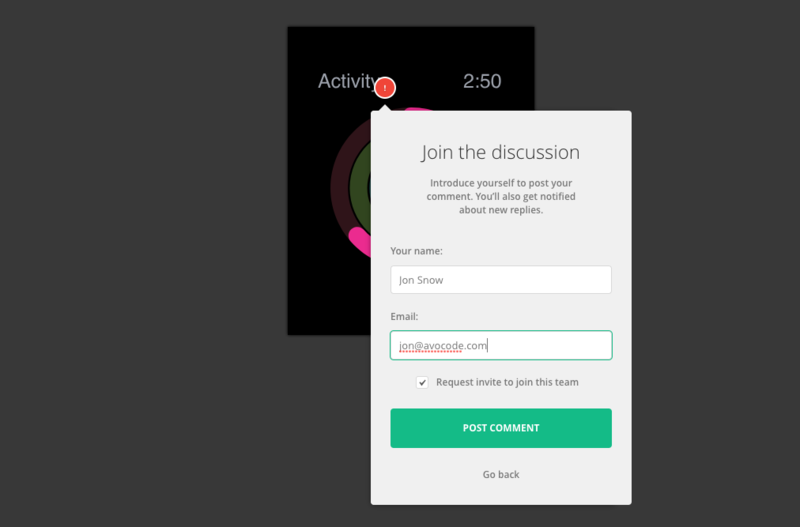 Give feedback and discuss design changes via Annotations and General comments. Keep all your design conversations in one place. How to open the comment mode? 2. 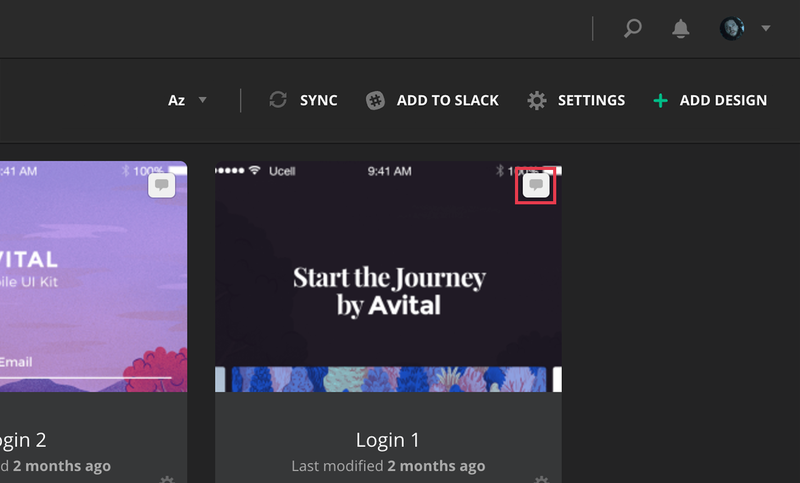 Click on the little comment icon in the top right corner of each design preview tile. 3. You will go directly to the Comment mode. Then you can easily switch to the Inspect mode in the top bar (see below). 2. Now you're in the so-called Inspect mode. 3. Click on COMMENT in the top bar. You'll be taken into a different design view. 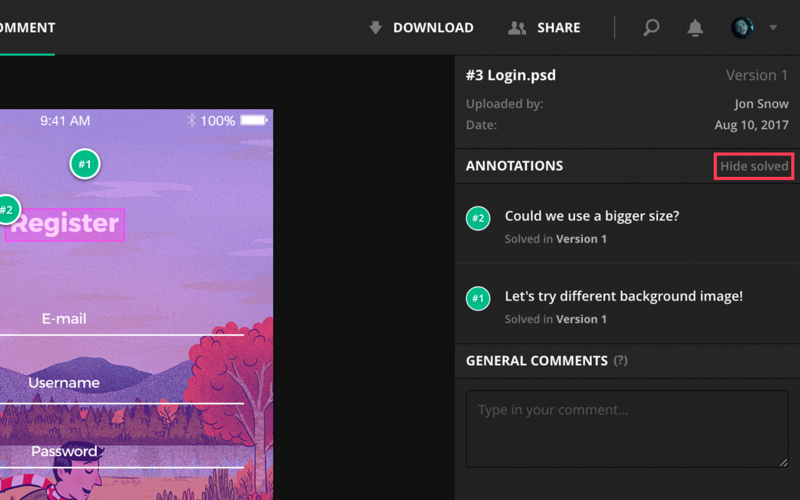 There is a new right sidebar where all your Annotations and General comments will be listed. TIP: Move around the design canvas by holding the SPACE bar and dragging your mouse. (On Mac you can also use two fingers on your Touchpad). How to open the Design preview from the Comment mode? 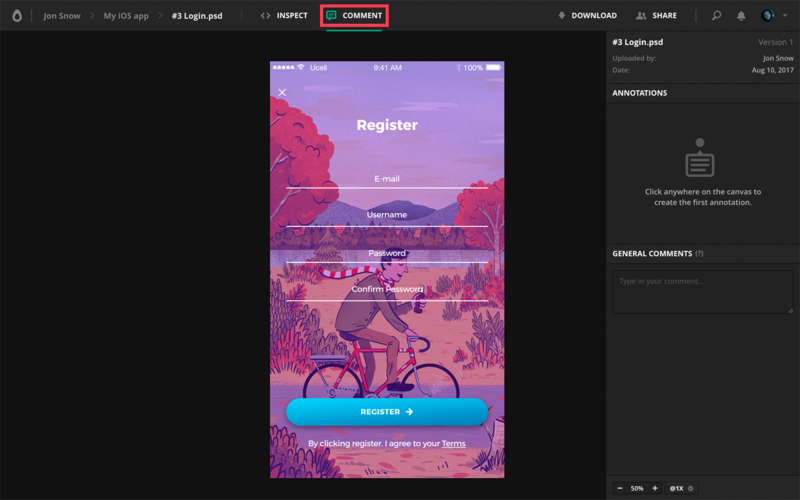 How to create design annotations? 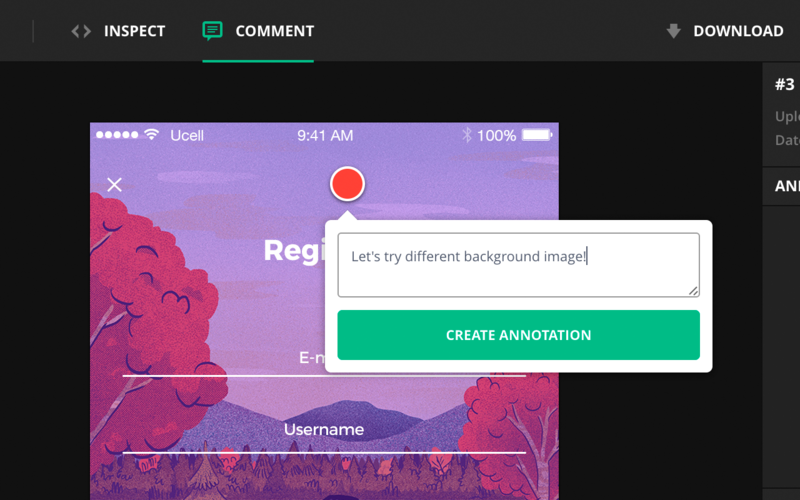 This way you will create an area annotation. TIP: If you decide to start over - for example, select a different point - just hit ESCAPE before you Post the annotation. If you already posted it, you can edit the content as well. Since the version 3.3, all pinned design annotations are blue by default and all solved annotations are grey. Pin an annotation anywhere on the design. Pick one from 6 colors. or task status (e.g. assigned, in progress, done, high priority). NOTE: The annotations are always tied to a design version. 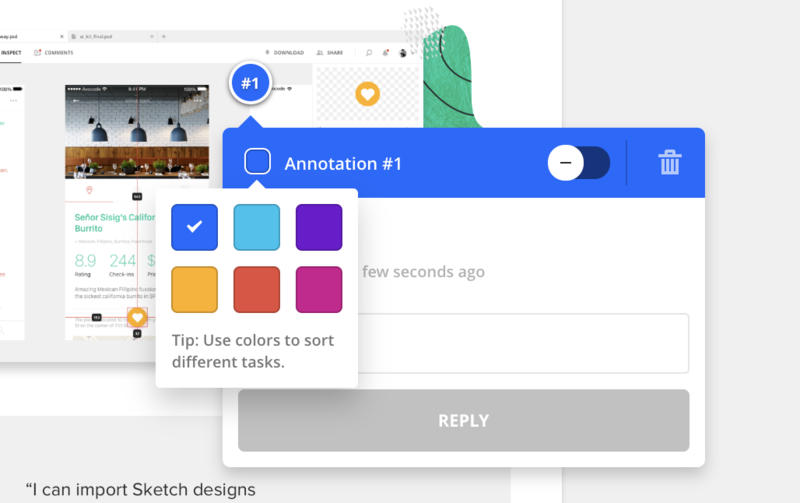 This means, that when you add a new design version with a different layout, the older annotations will be still positioned as they were before. 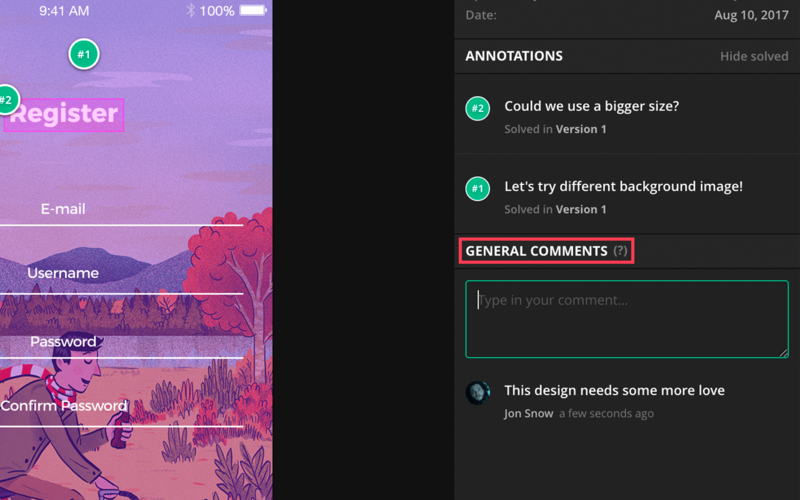 The new design version should respond to feedback from the previous design version annotations. 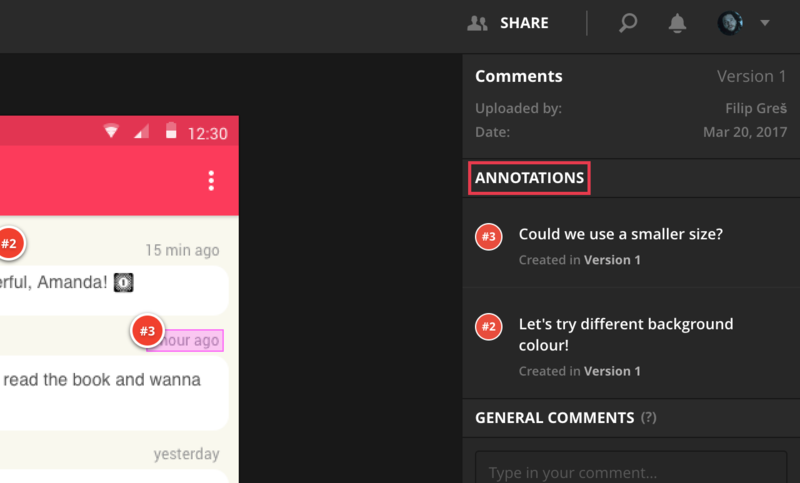 When the suggested changes are implemented, you can either solve or delete the old annotations. How to comment if you're not a team member? When you enter the Comment link from a sharing link, you'll be able to place a dot or an area to comment. However, you'll need to leave your name and e-mail, so this team know who are the comment from. You can either post the comment or also "Request invite to join this team". 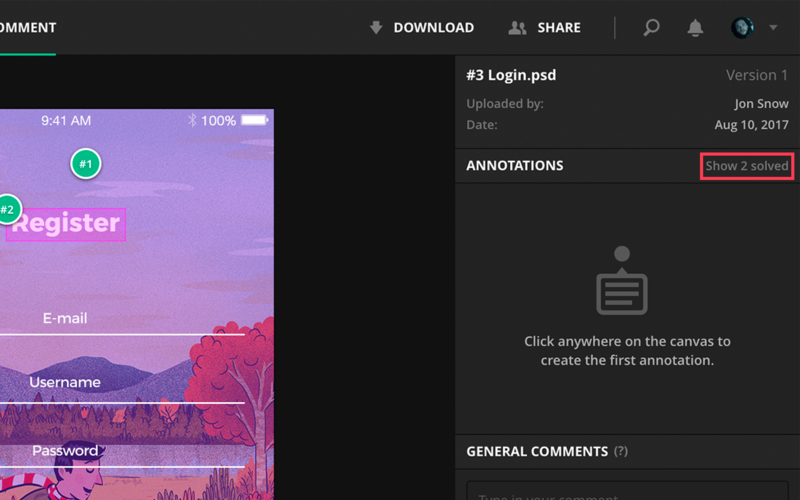 All your ANNOTATIONS will be listed in the sidebar on the left. Only the first message of the annotation thread is shown. When you click on the annotation in the sidebar, the canvas will be repositioned and you will see the entire conversation. Annotations are numbered and listed in a chronological order as they were created. The newest annotation is always on top. 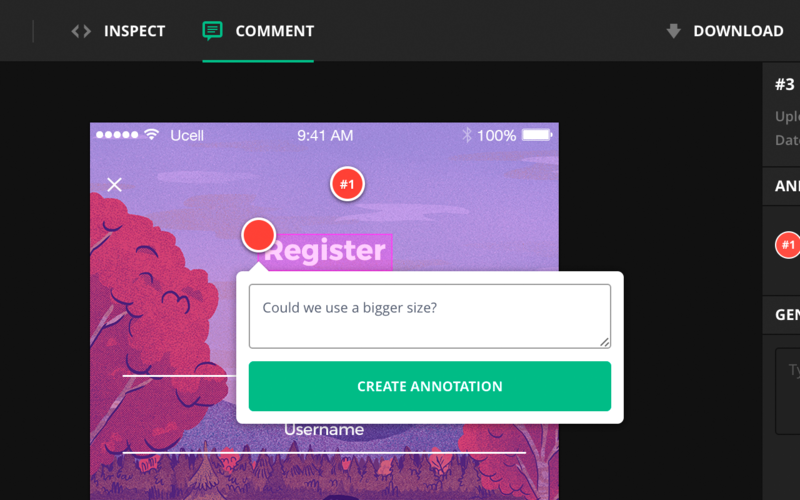 When you solve an annotation, it will turn green. 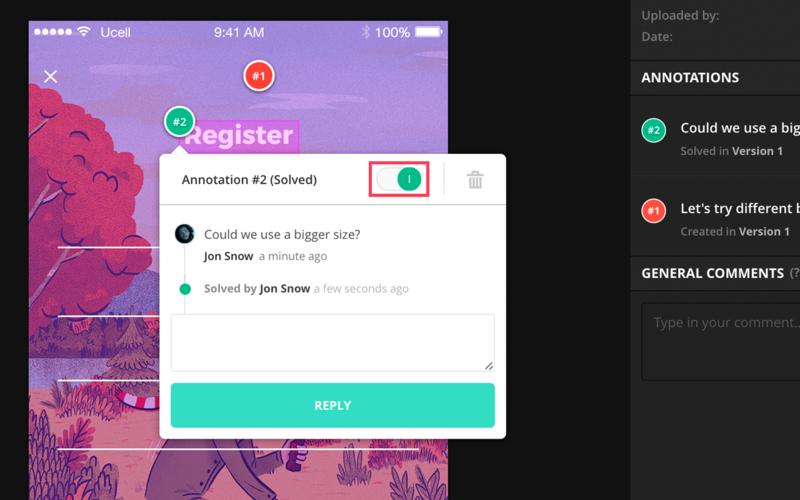 You can Hide solved annotations from the list by clicking on Hide solved. To reveal hidden solved annotations hit Show 1 solved. How to create general comments? Say something about the entire design by typing your comment in the GENERAL COMMENTS section in the sidebar. All comments will be listed in a chronological order. To start and reply more detailed conversations, please use ANNOTATIONS. NOTE: When someone adds an ANNOTATION or a GENERAL COMMENT it will show in your notifications. How to mention other team members? Just use the "@" symbol anywhere in the message. Once the first letter behind the @ Symbol matches a letter in the name of someone on the list of your team members, you should see a dropdown (like below). Either finish writing the exact name of someone from your team or select someone from the dropdown.